On 27 February, the General Court of the EU delivered another ruling on the EU right of public access to documents. 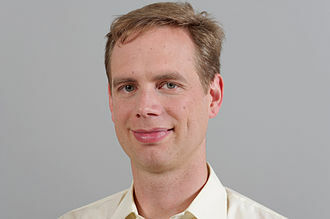 In case T-118/12 (Breyer v Commission), German Pirate Party member Patrick Breyer (pictured) took action against the Commission’s decision not to grant it access to documents, saying that these documents, being held by the Court, fell outside of the scope of the access law. While the Court ended up ruling otherwise, ACELG PhD Eljalill Tauschinsky points at an element of the case that is problematic nonetheless: the Court’s decision to make Breyer bear half of his own costs, to punish him for publishing documents pertaining to the court case on his website, thereby allegedly inviting readers to comment negatively and exert pressure on the Commission in an ongoing case. While a comparable situation occurred over 15 years ago in the Swedish Journalist Association case, Tauschinsky argues that Breyer was punished worse for a comparable breach. The comment, posted on the ACELG blog, can be accessed here.